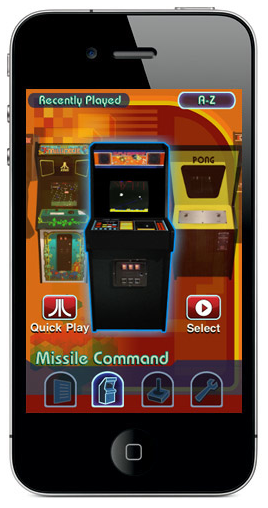 Classic gamers rejoice — Atari is bringing all the 2600 action you can handle with its new iPhone app. Atari’s Greatest Hits (Free-$15) lets you indulge in 100 old school games (18 classic Atari arcade games and 92 Atari 2600 games), including Asteroids, Centipede, Crystal Castles and Star Raiders. You also get Bluetooth mutliplayer options, plus original cabinet and box art. Two ways to buy — 25 separate packs available for download at $0.99, or you can get all 100 games for $15. Started by brothers Aron and Alex Drayer. Citifiable covers art, fashion, music, sports, gaming, technology and anything else that influences who we are and how we live. ⓒ 2011 Citifiable. All rights reserved.